However, debt consolidation is not necessarily the answer to your problems – claims by companies to drastically reduce your interest payments don’t always end up being such a great improvement, if any improvement at all. Having a single loan can free up money available on your credit cards which might tempt you to over-spend again so think carefully about whether debt consolidation is really right for you before agreeing to a new loan as it is not always the fastest and best way to become debt free. A better option may be to take some debt advice to look at alternative ways of improving your finances; one good wy of doing this is to talk to a debt charity. All lending is based on your credit score from one or more of the major credit scoring companies such as Experian. The amount you will be lent and the interest rate you will pay will both depend on your credit score. Different lenders will use different credit scoring companies so try to find out which company your target lender uses before applying for a loan. Apart from Experian the other major companies in the UK are: Equifax and Callcredit. 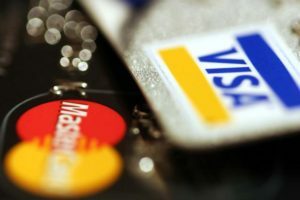 You might be surprise to know that if you call up your credit card company and tell them you are thinking of leaving them that they sometimes reduce your interest rate. This has always got to be worth a try – just make sure you get through to the right department as it will only be the customer retention department that have the authority to reduce your rate. And be aware that the rate reduction might not last forever. If you think you might be eligible for a 0% Balance transfer to another dreit card then chaeck that out but make sure your know exactly how long the interest free period is for and what the rate will be after the special deal expires. If you do decide to consolidate your debt remember that you could handle this yourself if you feel confident enough to do so and may find that you can achieve a better overall rate.